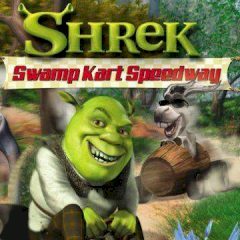 Shrek is going to drive kart among this swamp location. Collect bonuses and protection to win. Are you ready to drive a fast kart and enjoy this marvelous terrain with lots of traps and bonuses around? Just collect protection and various bonuses to win!